Every negotiation that we engage in is different. The other side of the table has their own set of goals that they want to accomplish and how they plan on going about achieving them can be different during each negotiation. Sometimes the other side may decide that they want to play hardball with us – they plan on using extreme demands and few concessions. When this happens, we need to be ready and know how to deal with the situation. This is a classic technique in which the other side is trying to take over the negotiations. What they will try to do with their extreme demands is to anchor the discussions (price, conditions, etc.) and then have you make changes from that point. Don’t let them do this. Instead, at the start of the negotiations you need to be very clear about what your demands on the other side are, what alternatives you are open to, and what your bottom line is. Don’t let the other side throw you off of your game. The other side may tell you that what he or she can do is limited by others. They may tell you that their “hands are tied” and their superiors have only given them limited ability to make deals with you. That is easy to say but you need to keep in mind that they are still the ones that their company has sent to negotiate with you. Take the time to check out what they are saying – make sure that the commitment tactics that they are using are real before you take action based on them. At some point during the negotiations the other side may stand up and tell you that you can either “take it or leave it”. Although this is a powerful thing to say, you need to keep in mind that during a negotiation offers are never nonnegotiable. A good tactic for you is to ignore their “take it or leave it” demand and instead choose to focus on the content of the offer that is currently on the table. Sometimes the other side chooses to not respond to your offers. When you make them an offer, you need to then sit back and wait for them to respond. You are going to want to wait for them to make a counteroffer. Make sure that they do this before you even consider reducing what you are asking them for. The one thing that you don’t want to allow to happen is for you to start bidding against yourself. All too often when you are engaged in a negotiation in which the other side wants to play hardball with you, they will keep making demands. Demands on top of demands. What they are trying to do is to get you to reach your breaking point. When they find that, they can then back off just a bit and they know how much you can take. Don’t fall for this. Push back early on and don’t let them find out how much you can take. As much as I would like to tell you that negotiating is a professional activity, there are times when the other side may decide to make it all personal. They may start to attack you using personal insults and look for other ways to ruffle your feathers (saying bad things about your company, your negotiating style, etc.) What they are trying to accomplish by doing this is to feed on your insecurities with the hope that by doing so they can make you vulnerable. Don’t allow this to happen. Instead, insist on a break if you find that you are becoming flustered. Also feel free to call the other side out and let them know that you know what they are up to. At times the other side may say things that they think will make their negotiating position stronger. However, what they say may not be 100% true. By making things up, what they are trying to do is to find a way to throw you off of your guard. You need to be on the lookout for this kind of behavior. When they make a statement of fact, you need to be polite but remain skeptical about the correctness of what they are saying. There may be times where the other side goes all in and start to threaten you. They may be telling you about the dire things that they will do if you don’t agree to their demands. You need to know how to deal with threats when they are made. The first thing that you need to do is to recognize them for what they are – threats. Knowing what tactics the other side has decided to adopt can help you to stand up to them. As a negotiator you always have alternatives. No, you don’t need to reach an agreement with the other side although you might want to. What this means is that if the other side starts to talk badly about what will happen if you don’t reach an agreement with them, you need to ignore them. Make sure that you have a firm grasp of what your best alternative to a negotiated agreement (BATNA) is and then don’t let your opponent shake your resolve. If ever there was a classic negotiating technique, then this is it. This tactic happens when the other side has two or more people on it and one plays the role of the reasonable one while the other plays the role of the tough and unreasonable guy. The goal is to get you to go along with the reasonable guy because the unreasonable guy is so unreasonable. Don’t let them manipulate you. Instead, reach out and bring in your own bad cop if you have to. Every principled negotiation is a new adventure. When we sit down to negotiate with the other side we need to realize that they will bringing their own set of negotiation styles and negotiating techniques to the table. There is always the possibility that they may decide that they want to play hardball with you. If that is the case, then you need to recognize it and take appropriate actions. 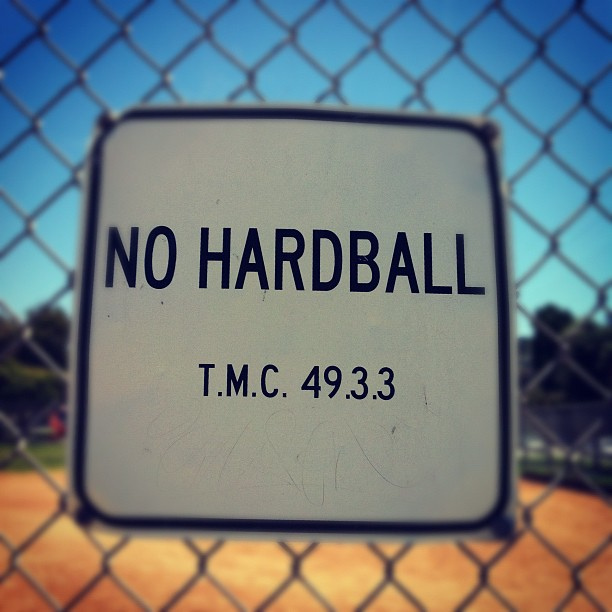 Hardball negotiating techniques can take on a number of different forms. It can be as simple as having the other side make a lot of demands with slow concessions in order to get you to start to negotiate from where they want to be. Or they could attempt to present you with take-it-or-leave-it offers. You need to recognize the technique when it is being used on you and then take the appropriate action to ensure that they are not going to be successful. When the other side decides that they want to play hardball with you, they think that they can force you to give in to their demands. Your role as a negotiator has to be to detect it when they are trying to do this and then push back. If they want to play hardball, you need to show up ready to play – and to win! Just exactly how important is honesty when it comes to negotiating? Sure we’d like to always be able to tell the truth, but sometimes it sure seems like it would make life just a little bit easier if we either didn’t say something or if we bent the truth just a bit. Likewise, can we really trust what the other side of the table is telling us? During a negotiation, in order to be successful no matter what negotiation styles or negotiating techniques are being usedyou want to avoid deception and find ways to build trust with the other side.